Product prices and availability are accurate as of 2017-09-24 23:01:44 EDT and are subject to change. Any price and availability information displayed on http://www.amazon.com/ at the time of purchase will apply to the purchase of this product. 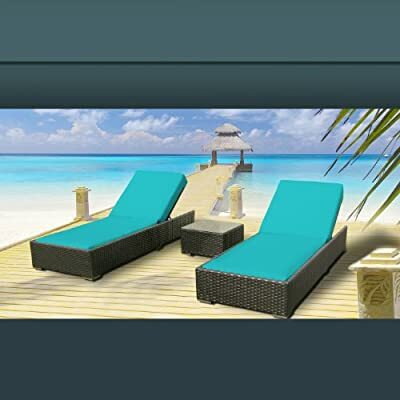 This Modern designed Luxxella outdoor wicker Lounger chair 3 pcs set is constructed of flat woven poly-ethylene over a durable aluminum framework. The lounge adjusts with your selection of three positions, including a completely flat position.